Whenever you are feeling down, try to put a smile on your face. There’s a good chance by which you can change your mood for the better. Smile helps to prevent us from looking tired and worn down. When you are stressed, take time to put on a smile. The stress will reduce and you’ll be better able to take action. Smiling people appear more confident, are more likely to be promoted, and more likely to be approached. Whenever we smile, there is a major reduction in our blood pressure. The muscles we use to smile lifts the face, making a person appear younger. Keep smiling through the day – you’ll look younger and feel better. There is an attraction factor in smile. Smile attracts and draws attention. A smiling person can change the mood of others, and make things happier. Its hard to think of something negative without losing smile. Stay away from depression, stress and worry by smiling. 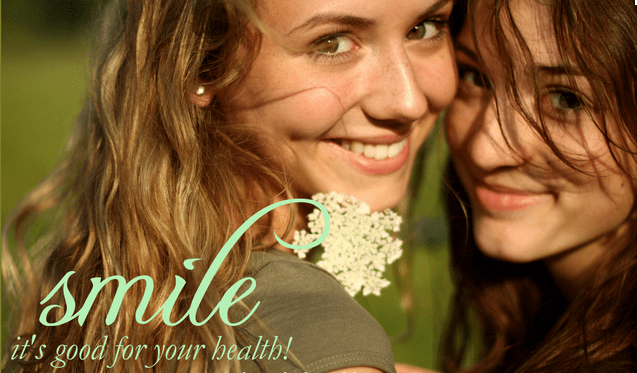 When we smile, immune function improves possibly because we are more relaxed. Studies have shown that smiling releases endorphins, natural pain killers, and serotonin. Together these three make us feel good. smile is a natural drug.